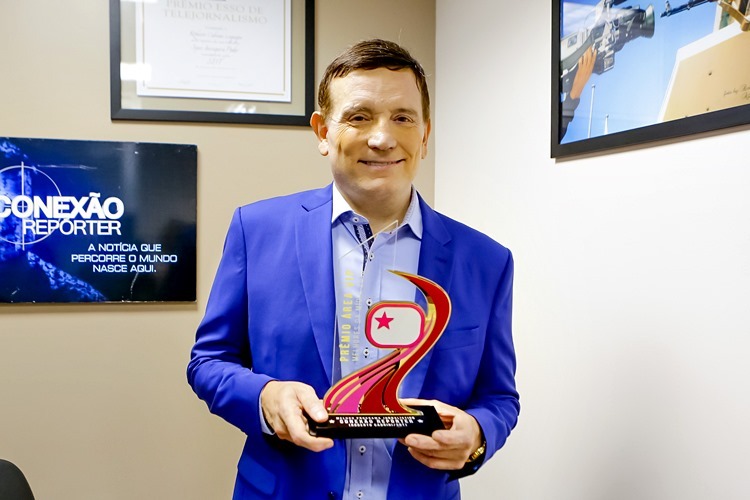 Roberto Cabrini receives VIP Area Award for 'Reporter Connection' – Check the interview! The journalist Roberto Cabrini, from SBT, received the trophy Area VIP Award – Best of the Media of 2018, through its program, the 'Reporter Connection', elected the Best Journalistic Program of the Year by the public of the VIP Area website. 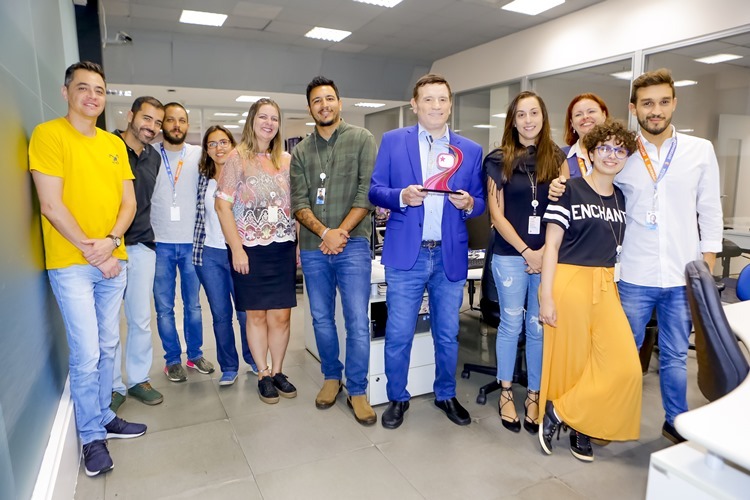 Our team had the honor of being received by the journalist himself, in his room, in the journalistic department of SBT, where he gave us an interview. Cabrini talked about his career, the way he leads the show and what makes it so attractive, drawing viewers' attention to the news. In addition, he also thanked the audience's choice, which made his program win our prize. 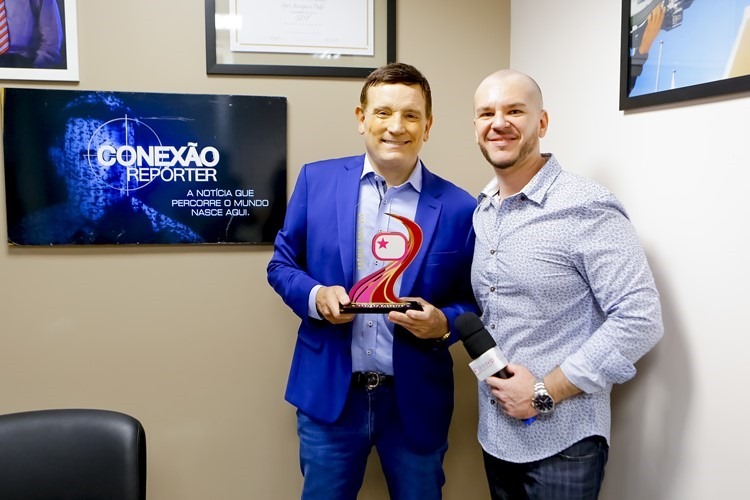 “I am very honored, very happy with your presence, with the presence of all the staff of the VIP Area which is a very reputable website, a site that treats the television news very affectionately, with great professionalism. I accompany your work and would like to praise this work that is really something of quality “. “We are completing 9 years of Reporter Connection and with great recognition. I feel very happy and with this Prize of VIP Area but still, it is another demonstration that we are on the right track in this tuning with the viewer“Said Cabrini. The presenter also talked about the sources he brings to the show and how he conducts the conversation with his character so he tells his story without feeling pressured. “I always talk to my team about a basic commandment I've always followed: 'I never promise what you can not keep and always keep what you've promised.' Journalist live from sources, but can not be prisoners of the sources. Sources can sometimes do wrong acts illegal acts and you can not cope with it. VYou owe the sources respect, but at the same time a distinction, “he said. Roberto Cabrini has already worked on the main Brazilian broadcasters and told how his work on the SBT is. “At SBT I feel comfortable, at home, it's the third time I've been here. Each phase enriched me in a different way, because at SBT I always had enormous freedom. No doubt the SBT plays a very important part in my biography “, said. Finally, Cabrini thanked the Vip Area award. “I thank you, I feel very honored with this award. 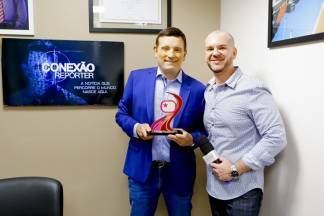 It is a very important prize because it is a website made with great sensitivity, with great professionalism, and I receive with great pride on behalf of our entire team. A team that can give me all the support, a television nothing is done alone, we depend on a team, and thanks to God we have “, he concluded.